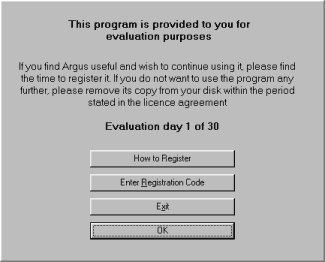 This document contains screen shots and instructions to setup a basic Argus system. There are many more things you can do to automate and make life easier, but following these steps will get you started! I assume no liability what so ever if you follow any of the steps outlined below. 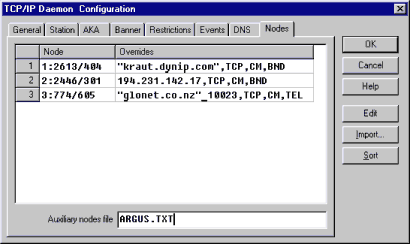 I am simply showing what I had to do to setup my Argus system. Bob Satti and Ward Dossche - for having the vision to permit and promote the use of IP - Mailers, Flags and Nodelist entries in their respective zones. 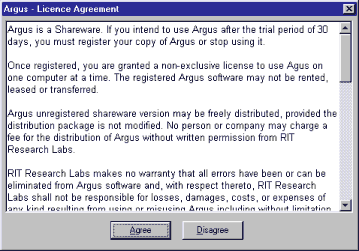 Read the license agreement and click on "Agree" if you want to continue and agree with the terms. 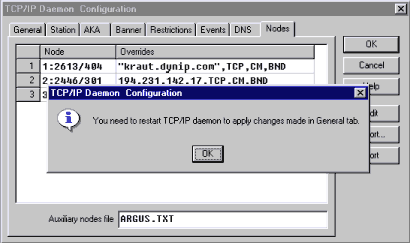 If you are running a regular Fidonet mailer and Argus is supposed to replace that mailer check "Modem for direct dial-up:"
If you want to use the IP functions make sure you'll also check "TCP/IP connections:"
You have reached the main screen. 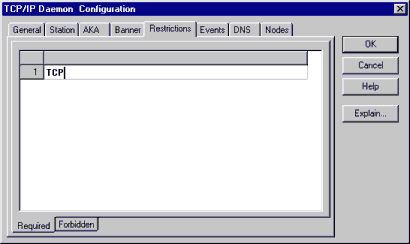 From here you'll configure and control all Argus functions. Once the mailer lines are open you will see additional tabs appear. 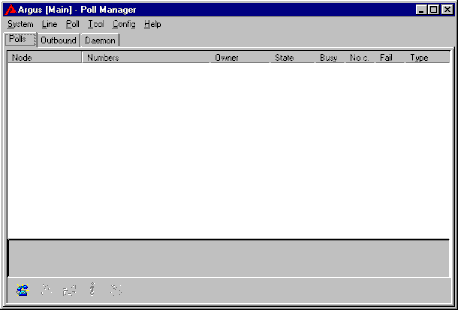 This is how the default window appears. Change your default Zone to reflect your Zone number. I suggest leaving all other settings as they are. 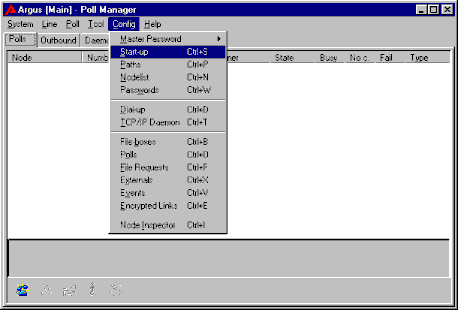 This is the nodelist configuration. 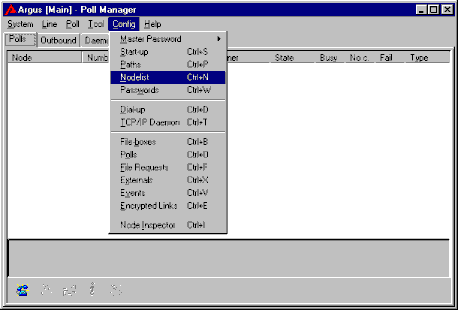 The following window shows how you enter the default Fidonet nodelist. Line 1: All entries beginning with "1-716" are dialed without the "1-716"
Line 3: All other entries (starting other country codes) are dialed with 011- in front of it. 011- is the "international dial code", similar to 00 in many other countries. 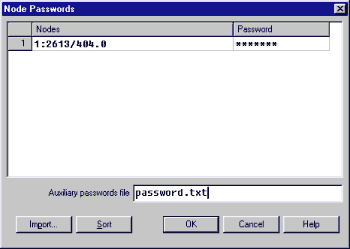 Or specify a text file which is loaded at start-up and contains the passwords. 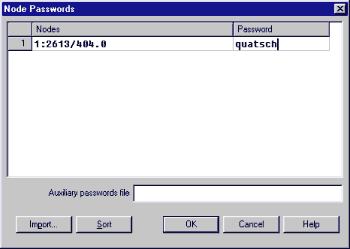 The syntax of the text file is node|password - one node per line. 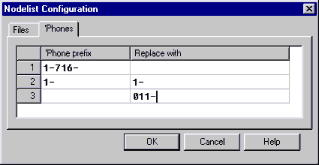 Change the above defaults to reflect your correct information, as shown below. 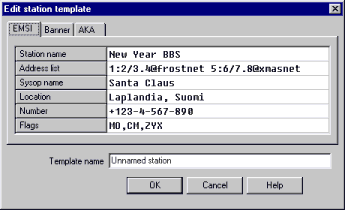 Make sure to change the "Template Name" to your system name. 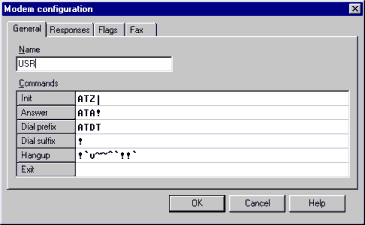 This section requires a little more explanation to the TCP/IP rookie. 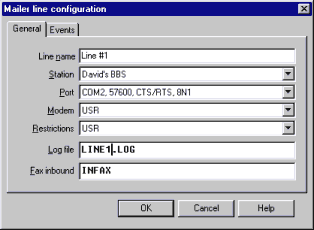 Just like there are several modem I/O ports (i.e. 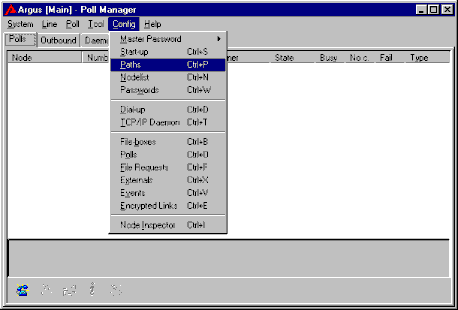 COM ports), TCP has multiple ports. As a result, you can tell your mailer to "listen" on multiple ports at a time. However, just like a modem port, only one device can listen at a time. Therefore, if you plan on running a telnetable BBS on the standard telnet port (23), you must remove port 23 from the TCP/IP port listing. I suggest you add port 3141 (SIO/Vmodem) to the list of telnetable ports. 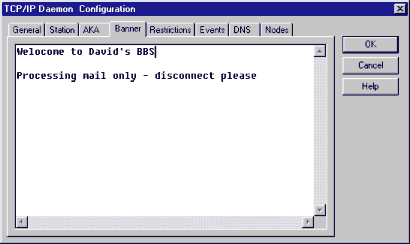 The beauty with this setup is that is does not interfere with your BBS operations. 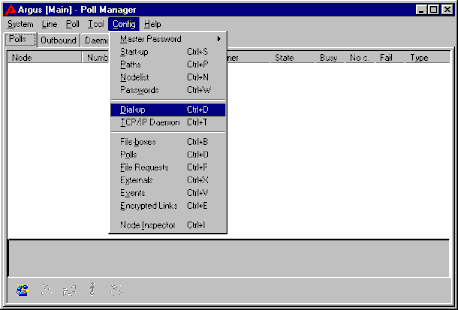 The nodelist was originally not designed to contain IP addressing and protocol information. Fidonet inherently was a "modem" network. 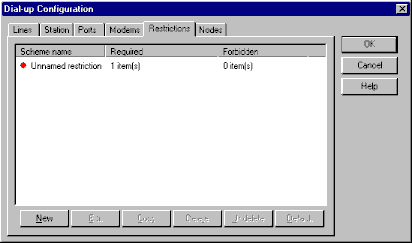 Therefore, all IP information has to be entered as an override to the standard nodelist information. You can manually enter the information. 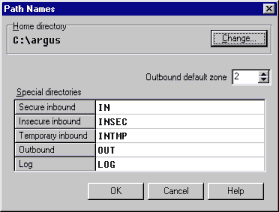 You can import the information from the ARGUS.TXT file contained in INODELST.Z**, which is a weekly file in the INODELST file echo. 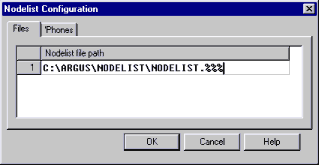 You can specify ARGUS.TXT as an auxiliary file. The above three entries show different ways of entering the IP information. All FQDN (Fully Qualified Domain Names) must be put into quotation marks. 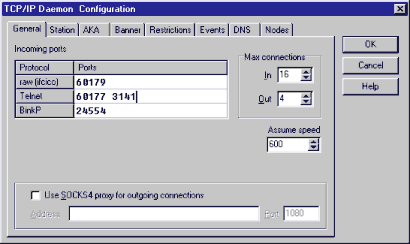 The node must show a "TCP" flag and a protocol flag. If an on-line flag, such as "CM" is shown Argus will honor those times. 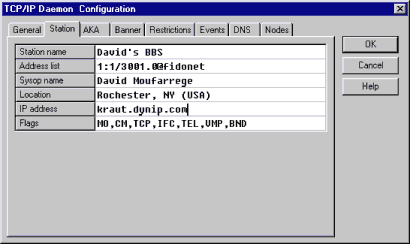 IP numbers do not go into quotation marks, and non-standard ports, such as "10023" for telnet are entered as shown in line three. 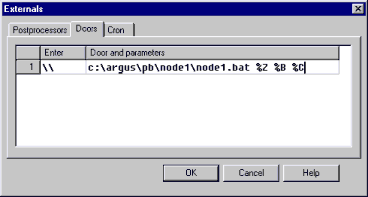 In order to import ARGUS.TXT DO NOT USE THE IMPORT BUTTON ! 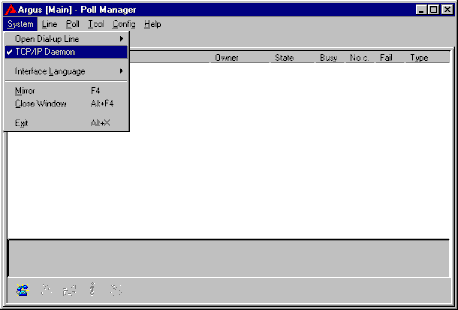 Simply right-hand mouse click on the grid and use the import function from the resulting drop down menu. 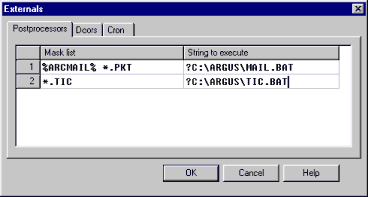 To use ARGUS.TXT, or any other text file you create, as an auxiliary file simply specify the file name. 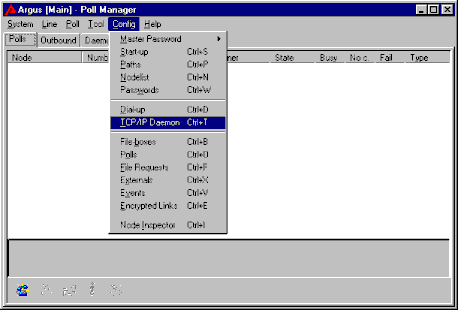 The file must be located in the Argus system directory. 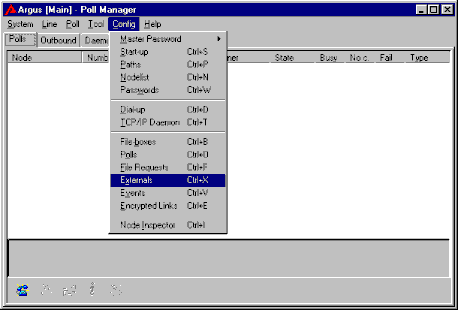 %ARCMAIL% collectively specifies Fidonet ARCmail packets ending in .M01, .TU2, WE8, etc. 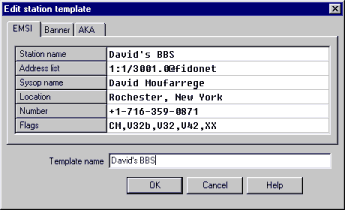 When such a file is received, MAIL.BAT is called. The "?" 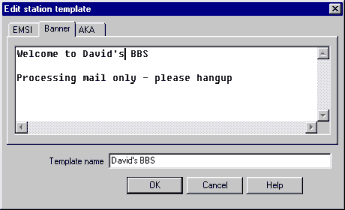 question mark specifies to run the batch job hidden in the background. The two back slashes symbolize the double ESC sequence. 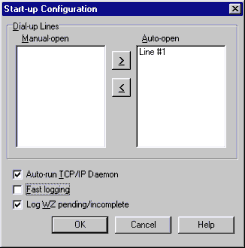 If you want your mailer line to open automatically upon start-up move the modem line to Auto-Open. 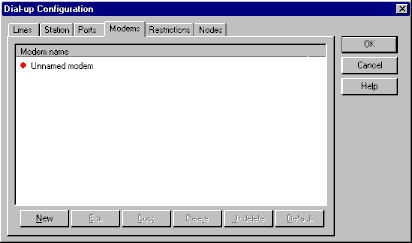 Likewise, if the TCP/IP modem should answer at startup check the appropriate box. 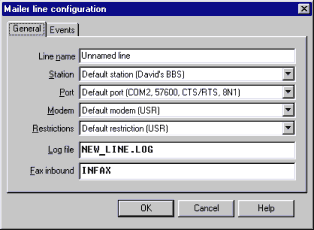 A word on "Fast Logging": If you use any utility that chops, trims, or otherwise accesses your logs uncheck the box. That's it. You should have a working setup.